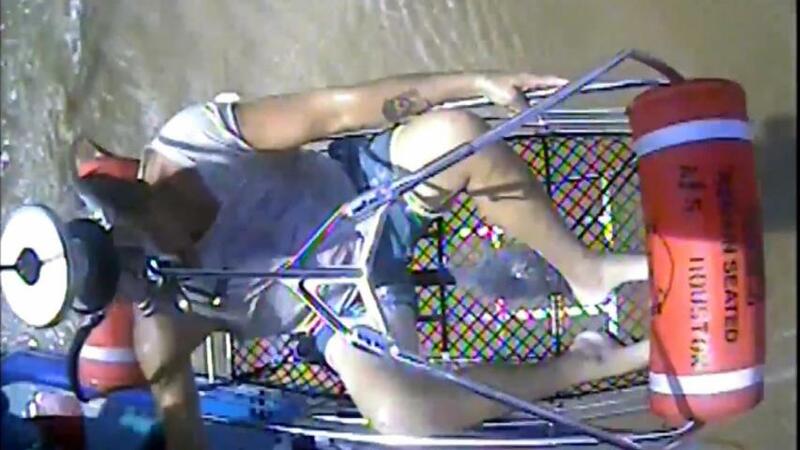 Two fishing buddies survived a two-day ordeal without life jackets in Galveston Bay by clinging onto a cooler and broken pipes floating in the water. Michael Watkins, 51 and Raymond Jacik vanished during what was supposed to be a five-hour boat trip. According to the U.S. Coast Guard, Watkins and Jacik left at 7 a.m. on Monday aboard their 20-foot Larson boat. When they didn't return a day later, authorities launched a search-and-rescue mission using airplanes, helicopters, and response boats near San Leon, Texas. "We thought we were going to find bodies, we're not going to find people," said David Dunford, a friend of the boaters who joined the search on Tuesday. 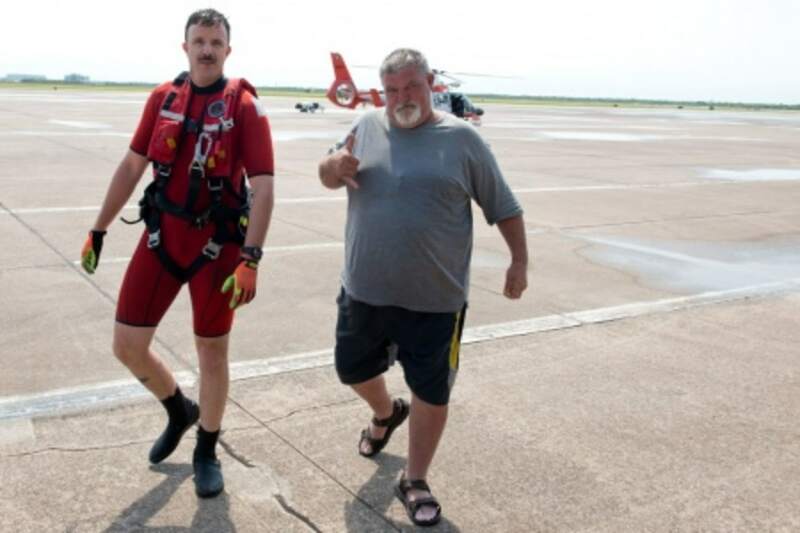 But more than 50 hours after the pair had been at sea, a Coast Guard helicopter spotted one of the men waving his arms, hanging on to an oil platform in Galveston Bay on Wednesday morning. The other was on another platform, and rescued a few minutes later. According to a statement by the Coast Guard, Watkins and Jacik's boat capsized due to a "rogue wave," before they were able to put on their life jackets. They clung to their cooler -- and split the water and a sandwich inside it -- before eventually getting separated and finding their ways to different oil platforms. Both men were listed in stable condition at two hospitals, the Coast Guard in a statement on Wednesday. Dehydrated, sunburnt and nauseous, Jacik spoke to NBC News affiliate KPRCand explained how his faith, broken pipes and the cooler helped him survive. "After last night, I had a long talk with God," he said. "You get out there, the middle of the night, holding onto a pipe that feels like it's full of nails, or razor blades, and don't know how long you're going to be bear-hugging that thing." In a statement, Watkins added: "I am thankful to be back on solid ground and with my family."